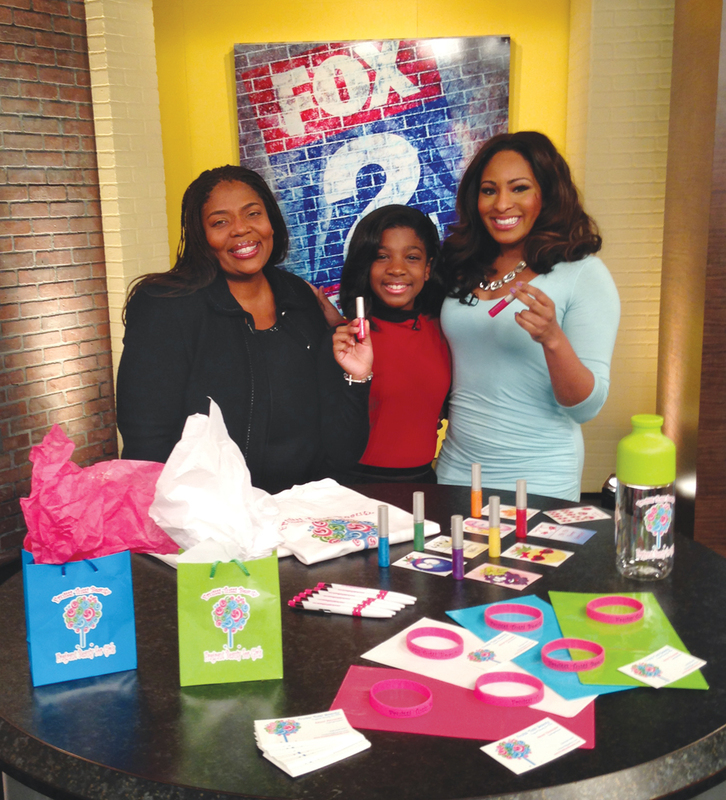 Aspiring beauty mogul Adonai Alexander is our Young CEO of the Year. Adonai Alexander, 13, and her mother, Evelyn, join Fox 2’s Maurielle Lue for a recent segment on Frutti Tutti Beauty. Adonai is DBusiness’ 2018 CEO of the Year (18 or younger). 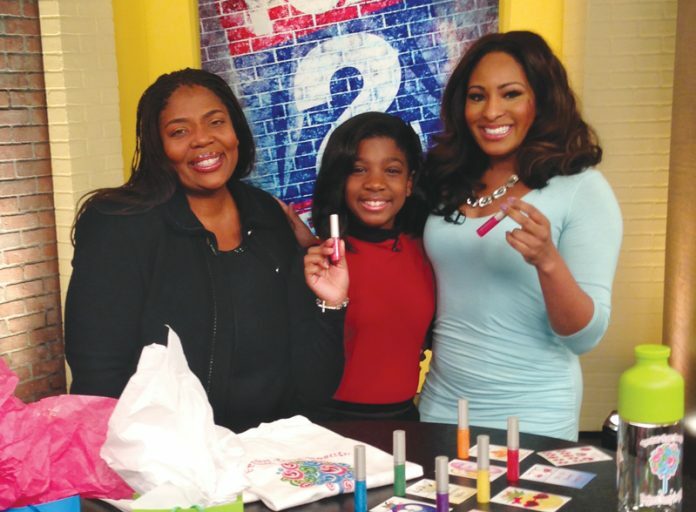 Even before she was old enough to wear makeup, Adonai Alexander of Shelby Township knew she wanted to work in cosmetics. She also knew she wanted to be an entrepreneur. Those two desires propelled her to launch Fruitti Tutti Beauty, a line of fragrant lip glosses targeted at young girls. Alexander’s mother, Evelyn, took her daughter to New York so the two could work with a chemist and make the product line a reality. After some time spent perfecting her product, Alexander hosted a launch party at the end of 2016. It turned out to be a turning point for the fledgling business. Alexander says she sells most of her products on her website (fruittituttibeauty.com), but she also travels to trade shows and sells directly by word of mouth. She says she would like to start another cosmetics line once she graduates from college.